If you have been following our latest posts about Inbound Marketing or if you consider yourself a good marketer, then you already should know that email marketing is absolutely key to having a successful Inbound Strategy. 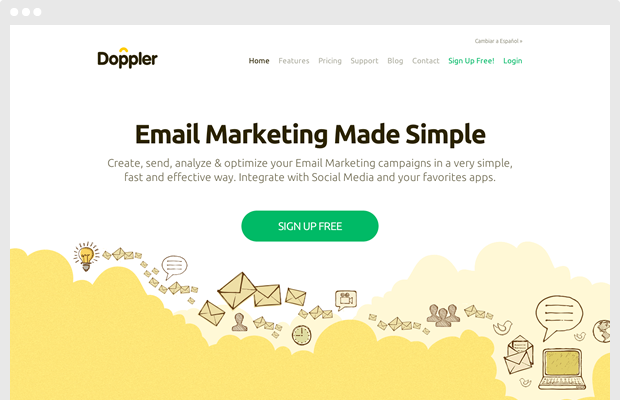 That’s why today we’d like to formally introduce you to our beloved sister app Doppler, the perfect email marketing tool to work with your Landing Pages. Start using it totally free! Doppler Email Marketing was conceived 7 years ago by four young enthusiastic software developers that had one idea in common: Create an awesome software application that allows users to send customized email marketing campaigns. And you know what? They did it. That’s how Doppler was born! Nowadays, Doppler has grown to over 25.000 active users in just 6 years, and only a few short days ago, its team commemorated its 7th anniversary. However, the good news doesn't just stop there. Just last year the creators of Doppler came up with another big idea of an application that would complement Doppler for online marketers. The “big” idea was a complete landing page creation platform and that’s how and when Lander showed up! Now you know the story about Landers’ big brother and that Doppler is the ideal app to combine with your Landing Pages in Lander. Try it today for free and experience the power of siblings working together! With so much focus on social-media marketing these days, it’s easy to get carried away with the hype and overlook one important, fundamental truth. Targeted emails are still the most effective online method for converting your prospects into customers and clients. So, how can you get the most out of your inbound Marketing strategy? Well, it’s really not rocket science actually, you just have to think “Landing Pages + Email Marketing= More Sales” and integrate your Lander Account with this great tool to organize your leads better and just focus on what’s important...your campaigns success. Allowing the integration will also help you see that you can use your Landing Pages to collect the data you need to compile your email lists. Straight from the get-go the whole process becomes more fluid and easier. For example, when you integrate Lander and Doppler, Lander does the work for you by automatically pushing any new leads from your landing pages right to your Email List in your Doppler account, now isn't that awesome? No more worry about manually uploading your Lists, Lander and Doppler together will take care of it for you. Try this integration now! The truth is that choosing the right email marketing tool for your needs can be a daunting task. There are so many companies out there competing to provide applications with the automated tools you need to personalize emails, guarantee deliverability, provide tracking, compliance, and much more. You probably have more than one type of buyer persona in your lists right? By segmenting your lists to based on these personas you can deliver personalized content that is relevant and timely to the right people at the right time. Doppler’s simple and easy to use drag and drop editor lets you design Email Templates without any HTML knowledge necessary. Customize any layout that you want, or just create one from scratch. This all sounds kinda familiar doesn't it? Well, that’s because you'll find the same ease of use with Doppler’s editor as you would with Lander’s. This is another reason why Doppler is the right email marketing integration for your Lander account. No more worries about needing to get re-familiarized with a new Editor. Like Lander, like Doppler, so just integrate them and have fun already! Doppler offers you 3 distinct categories so you can choose the Email Marketing campaign that best fits your immediate needs, for example: Classic Campaign, Social Campaign & A/B Test Campaign. Measure your complete campaign's performance with Doppler’s reports. Analyze your Open Rates, clicks and conversions. 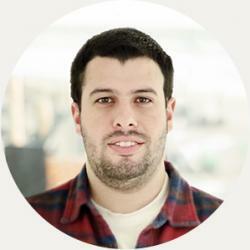 Integrate your account with Google Analytics, and make the necessary data driven decisions. In case of any potential doubts, questions or technical inconveniences that might come up, our internal support team is always ready to assist you by phone or through one of the various social networks. You can also contact us at support easily via Email. Just reach out with anything you need, they're only a phone call or email away! Well, now you've got the complete scoop on why Doppler is the best tool and way to fully manage your Email Marketing campaigns and integrate with your Lander Account. Email Marketing is a key digital tool in the marketing strategy for any company or institution who wants to spread its message efficiently and creatively. Are you ready to experience Doppler? Start using it For Free Today!